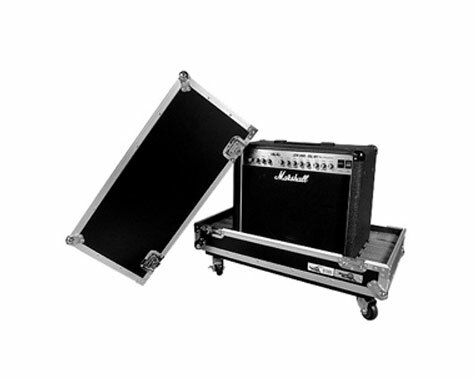 Rock out and party like a rock star with the RRGAL Universal Guitar Amp Head Case. Designed with our high-density Z-lock foam inserts creating the perfect custom space for your amp head is a snap! Simply add or remove layers of our Z-Lock Foam to create the perfect fit ( min dimensions: 20" L x 9" W x 5.5" H , max. dimensions: 31.25" L x 15" W x20" H). And to keep the good times rolling, we designed this rocker with a low profile base for easy access and included a caster for easy transportation. (RRGAL32) Universal Amp Head Case Fits Amps Up to 32W" By 14H" By 14D"